Hello everyone and welcome! Today we are going to talk about an amino acid called Homocysteine. I test Homocysteine levels in almost every single patient who walks in my door. Why is this marker part of my central testing procedure? In short an elevation of Homocysteine is a sign of breakdown in core processes necessary for your health. From a physiological perspective, elevations can lead to excess inflammation, impaired detoxification, poor neurotransmitter synthesis, neurotoxicity[i], decreased expression of nitric oxide protecting arteries and veins, increased free radicals[ii], hormone dysregulation, and miss-folded proteins leading to an overall decreased level of function in any cell. High Homocysteine is associated with cardiovascular disease, Alzheimer’s disease[iii], LUPUS[iv], Chronic Fatigue and Fibromyalgia[v], decreased cognitive performance[vi], Rheumatoid Arthritis[vii], depression and anxiety[viii], H. Pylor infections[ix] and the list could go on. In this article, I will quickly explain what Homocysteine is and how it is metabolized in the body. I will then go through why the build-up of Homocysteine causes problems. Then I will go through how to lower the Homocysteine. What is Homocysteine and its metabolites? Homocysteine is an amino acid that is at the center of two different pathways. 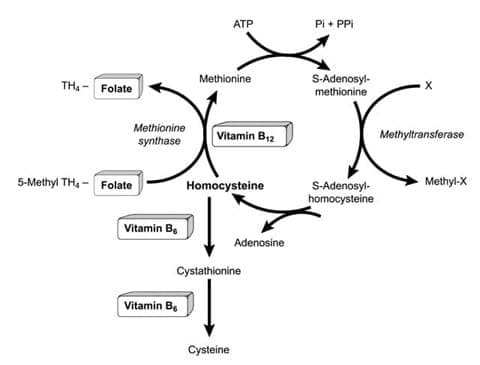 One pathway takes Homocysteine to be metabolized to methionine and then further into S-Adenosyl methionine (SAMe) with the help of folate (B9) and B12. A second pathways can take Homocysteine and turn it into Cysteine with the help of B6. The picture above illustrates these two pathways[x]. 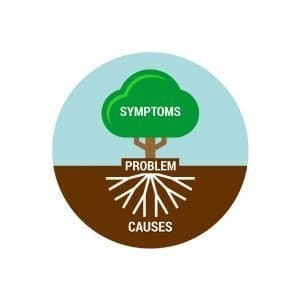 When a patient comes into the office with elevated Homocysteine, it means they are having decreased efficiency of one or both of these pathways. 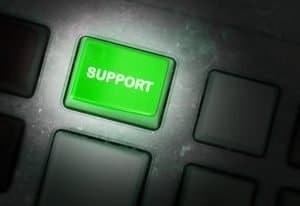 How does the build-up of Homocysteine cause problems? I could write an entire article on each of these topics separately, but I will keep it brief and to the point here. The following is a list of physiological the problems caused by elevations of Homocysteine. Causes increased free radical production and damage to the lipid membranes of cells. This accelerates the breakdown of your tissues. The most sensitive tissues to the toxic presence of high homocysteine are the neurons. brain fog, dementia, and accelerated brain aging are all implicated with elevated homocysteine. SAMe (pronounced Sammy) is necessary for methylation. It is important for neurotransmitters like serotonin and liver detoxification through the methylation pathway. It is something on the top of my radar in patients with depression, chronic pain, and liver detoxification problems. Cysteine is used by the body as a source of sulfur for detoxification and the production of glutathione. Glutathione is your body’s chief anti-oxidant and protector against all kinds of damage. This molecule is extremely important if you’d like to know more please ask for our article entirely devoted to glutathione or click HERE. Vitamin B6 is a cofactor if hundreds of different chemical reactions necessary for healthy hormones like estrogen, and progesterone. It is also important for the production of neurotransmitters like serotonin, dopamine, and GABA for proper brain function. Vitamin B12 is essential for the formation of red blood cells and running your cellular energy pathway. B12 has a complicated absorption process in the intestines, which means I often find deficiencies of B12 along with intestinal symptoms and leaky gut. If you have elevations of Homocysteine we want to know how to lower it! Luckily this one is typically fairly easy. I use a product from Apex Energetics called Methyl-SP which as a good mixture of vitamins B6, B9, and B12 to help support normal Homocysteine metabolism. Although much more could be said on the issue, we will cut it off here to keep things simple. Remember, elevations in Homocysteine cause breakdowns in fundamental physiological processes. These fundamental flaws will throw a monkey wrench into you achieving better health if they are not addressed. [i] Lipton, S.A., W-K. Kim, Y-B. Choi, S. Kumar, D.M. D’Emilia, P.V. Rayudu, D.R. Arnelle, and J.S. Stamler “Neurotoxicity associated with dual actions of homocysteine at the N-methyl-D-aspartate receptor.” Proceedings of the National Academy of Sciences USA 1997;94:5923-5928. [ii] Ventura E, Durant R, et al. Homocysteine and inflammation as main determinants of oxidative stress in the elderly. Free Radical Biology and Medicine March 2009; 45(6):737-744. [iii] Clark, R., A.D. Smith, K.A. Jobst, H. Refsum, L. Sutton, and P.M. Ueland. Folate, vitamin B12, and serum total homocysteine levels in confirmed Alzheimer’s disease. Archives of Neurology (1998)55:1449-1455. [iv] Petrie, M. R. Roubenoff, G.E. Dallal, M.R. Nadeau, J. Selhub, and I.H. Rosenberg. Plasma homocysteine as a risk factor for atherothrombotic events in systemic lupus erythematosus. Lancet 1996;348:1120-1124. [v] Regland, B., M. Andersson, L Abrahamsson, L.E. Dyrehag, and C.G. Gottfries. Increased concentrations of homocysteine in the cerebrospinal fluid in patients with fibromyalgia and chronic fatigue syndrome.” Scandinavian Journal of Rheumatology 1997;26:301-307. [vi] Riggs, K.M., A. Spiro, K. Tucker, and D. Rush, “Relations of vitamin B12, vitamin B6, folate and homocysteine to cognitive performance in the Normative Aging Study.” American Journal of Clinical Nutrition 1996;63:306-314. [vii] Roubenoff, R. P. Dellaripa, M.R. Nadeau, L. W. Abad, B.A. Muldoon, J. Selhub, and I.H. Rosenberg. 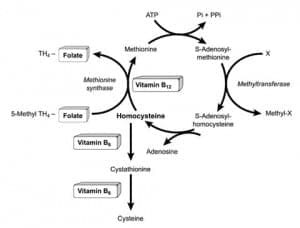 Abnormal homocysteine metabolism in rheumatoid arthritis.” Arthritis and Rheumatism 1997;40:718-722. [viii] Sauberlich, H.E. Relationship of vitamin B6, vitamin B12, and folate to neurological and neuropsychiatric disorders. Micronutrients in Health and in Disease Prevention. New York: Marcel Dekker, 1991, pp 187-218. [ix] Sung, J.J.Y. and J.E. Sanderson. “Hyperhomocysteineemia, Helicobacter pylori, and coronary heart disease.” Heart (1996) 76:305-307.